Does Baking Soda Help Diabetes? Powerful Benefits of Baking Soda! Does Baking Soda Help Diabetes? Baking soda is just about the most used product used in baked goods. Sodium bicarbonate, which is its technical name for the chemical compound that it is, (in nature form) is found in crystalline and then ground into a fine powder used in cooking. Baking soda not only is helpful for diabetes, but extremely beneficial in so many other ways. It is found in many homes today and is very inexpensive to buy. I want to discuss how baking soda helps with diabetes but I will also cover all the other benefits it provides, not only for health, but tips not relating to health because you should know everything that it is beneficial for. So to reiterate, baking soda is also known as sodium bicarbonate. It does not contain any ingredients mixed in it. Diabetes as we know, is when your body isn’t producing enough insulin. Baking soda is known to play a huge role in slowing the progress of chronic kidney disease. Studies have been done that show that baking soda can be your first line of defense against and in controlling your diabetes. Many expert doctors may suggest the use of baking soda against diabetes in various ways. but this is something that you would want to discuss with your personal doctor first. Baking soda is safe to use in many ways, but I always discuss everything with my doctor first before I do anything. What the baking soda does is to work on the acid condition in your body and help to control and return it to normal again and at the same time fight in the diminishing of diabetes. While there are many ways to use and administer baking soda, orally or otherwise, your doctor should always be the one who decides ultimately what’s best for you. People with diabetes who have a condition known as “Diabetic ketoacidosis,” are more at risk of developing something called, “mucormycosis” which is a fungal infection that is rare. Researchers suggest that baking soda could prevent this infection from spreading. They suggest that patients with mucormycosis benefit from adding sodium bicarbonate to the particular area regardless of whether or not it’s serious acidosis because by adding it, there is a strong likelihood that it will stop the growth of the fungus. Thumbs up on baking soda! This condition which is known as DKA is very serious because it means that your blood sugar levels are so high that your body begins to run out of insulin. This is NOT GOOD! You could go into a coma or it might even mean death! * Your feet- Soaking your feet in water with baking soda is excellent for your feet! It will help protect your feet from infections and odors. It inhibits fungal, yeast, and bacterial growth on your feet. Just take 3 tablespoons of baking soda and mix in a small basin of warm water and soak for 30 minutes and just feel the results! I love it! * Your breath- Since you have so many germs and bacteria in your mouth, they can cause bad breath. Mixing one teaspoon with a glass of water and rinsing your mouth out with it, can neutralize the bad odors and freshen your breath. Your mouth will feel so much better and you won’t have to be concerned about did you do enough in brushing and flossing. This will help you if you missed anything. * Toothpaste- There are folks out there who actually use baking soda as a toothpaste. I personally think that this is too abrasive or your teeth for everyday use. It’s good for using occasionally as it helps to brighten and whiten your teeth. It is great for removing plaque as well. Arm and Hammer even makes a baking soda toothpaste! I use both so I got my teeth covered! Your mouth feels so clean. 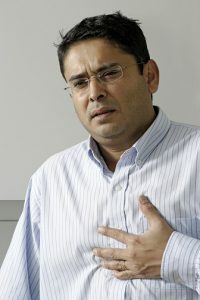 * Heartburn- So I’m sure that you’ve heard of or experienced heartburn or acid reflux before. It’s a horrible burning sensation coming up from the upper area of your stomach up into your throat. The cause comes from the acid refluxing out of your stomach and up through your esophagus. Some of the more common reasons for this are eating spicy foods, being overly stressed out, or overeating. Baking soda can help treat this condition with one teaspoon in a glass of water and drink slowly. * Deodorant- It’s not your sweat that has an odor, at least not initially. Your armpits are the culprits that break down the bacteria and convert it into waste products that are acidic and give off the odor. What baking soda does is help to make the sweat less acidic, thus reducing the odor. You can give it a try but putting some baking soda on your armpits and see if you experience a difference. * UTI’s- You can help lessen your chances of a urinary tract infection with a mixture of baking soda and water. This will help decrease the levels of acid in your urine. FYI? Cranberry juice and plenty of water are other solutions in preventing urinary tract infections from recurring. * Skin treatments- Baking soda can treat various skin issues. A mixture of baking soda and water to use as a paste will help for insect bites and itches. Sunburn? Ouch! I’ve been there and never again. (hopefully) You can add about half a cup of baking soda in warm bath water to help soothe you. A tablespoon added to water and soak two times a day will help if you have a splinter. * Joints and gout- If you’ve got pain from issues such as arthritis or gout from high levels of uric acid in your blood and tissues, then look no further. Baking soda is perfect to treat these painful diseases because it reduces this type of acid and neutralizes the pH of your blood. It’s a great solution for joint pain. Check Out the Video Below for Additional Benefits of Baking Soda! * Cancer- Studies have been done in animals that show that raising bicarbonate levels in the diet can increase the actual pH of tumors that are acidic without affecting the pH of the healthy tissues and blood. This is a solution that sodium bicarbonate makes tumors more alkaline. * Natural alkalizer- No matter what particular diet you be eating, there’s always a chance that you’re generating acid in your body. Baking soda is a natural remedy for neutralizing the acid effect and creating a more alkaline effect to balance your pH level. This will improve your health and lessen your risk of cancer, arthritis, and osteoporosis. * Kidneys- An alkaline substance, bicarbonate helps keep a pH balance and protects acids and it’s produced naturally in your body. If you’re a person with diabetes or high blood pressure, your kidneys may have a difficult time functioning and having a hard time removing acid from your body. This is known as metabolic acidosis. Researchers treated patients with this condition with baking soda for two years. The results were phenomenal as it slowed the speed of the poor kidney function by 66% and only small percentage required dialysis at the conclusion of the study. 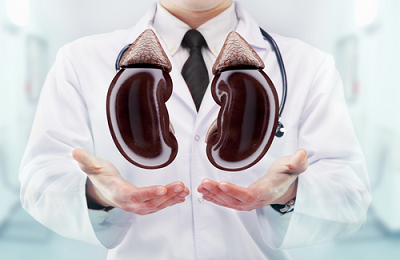 That’s an extremely positive outcome for the kidneys! * Canker sores- I absolutely hate these things! They are small painful ulcers inside your mouth. Although they are not contagious, they are painful and annoying. Making a baking soda mouthwash can remedy this situation and I love how good it works! 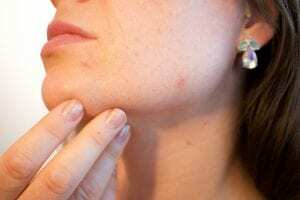 * Pimples and acne- Pimples and acne are not just unsightly, but annoying. Baking soda helps treat them and decrease the breakouts and symptoms of acne with its anti-inflammatory and antiseptic properties. It helps to balance the pH of your skin so what not give it a try? It works! * Swelling- Getting stung by a bee or a wasp is another unfortunate situation. You experience pain and swelling. Sodium bicarbonate and water will relieve the pain and swelling. Mom knew best when I had this happen! Thanks Mom! * Combs and brushes- You can remove all of the oils that build up and the remainders left on your brushes and combs by soaking them in a mixture of baking soda and water. Then rinse them off and dry. Nice and clean and ready for the next use! * The fridge- I don’t know about you, but I’ve been doing this with my own fridge ever since my mom used to do it when I was a kid. An open box of baking soda in the back of the fridge neutralizes the odors. It works wonders as long as you change the box every couple or few months or so. * Your hands- Ever get strong smells on your hands and try washing them to get rid of the smell but to no avail? All you have to do is wash with baking soda and water and voila! The smell is gone! Arm and Hammer has always been the best baking soda on the planet. Get yours now below! In the end, does baking soda help diabetes? Baking soda AKA sodium bicarbonate is very beneficial for diabetes and your overall health. Take caution as you would with anything else and discuss with your doctor because your health is the most important thing in your life. Additional Help for Lowering Your Blood Sugar Below! Please forward this article to others who may need help and please share on social media below and leave any questions or comments you may have as well. I would love to interact with you. Thank you for reading and I appreciate it! Have a happy and a healthy one! Can Diabetes Cause Leg Cramps?-Stop and Prevent the Leg Cramps Fast! Baking soda has so many benefits. Wow! Great article, you know diabetes is very common, sugar for me is a silent killer, sugar is very addictive and I heard its the same with heroine. All the food we see at the groceries are with sugar. Organic food products are very expensive. So, thanks for your article. I will definitely try baking soda not only for diabetes but also for other health benefits. We used to think that baking soda was just beneficial for putting in the refrigerator but that is certainly not the case. It is something that is very inexpensive and so beneficial for our health and diabetes. I find it very beneficial being a diabetic. It really helps. Anything that offers as many positives as baking soda does is well worth it. I had read extensively about baking soda, but your post is by far the most comprehensive, many thanks for your contribution. I just want to share my personal experience using baking soda, experience that confirms one of your findings. i had been suffering for months from athlete foot and tried different treatments to no avail. The doctor who saw me desperate recommended a BS bath, on a daily basis, and this definitely improved things to my great surprise. I unfortunately lacked the discipline after a while to carry on with the daily foot bath, and things got worse, as I started feeling the pain that I had initially. I am now back to my BS treatment and again things are improving. it really is by far the best remedy that i have tried. I’ve always known that baking soda does more than just keep the fridge clean. I believe I only had athlete’s foot once when I was a kid and I’m sorry you’re going through that. But soaking your feet in a baking soda bath just does wonders as you’ve experienced. The key is to keep it up. I’ve been doing it for the numbness in my feet. Thank you for your post on baking soda. I’ve used baking soda for a number of things on your list. It seems like so many diseases are related to an acidic environment in the body. I also take organic apple cider vinegar in small quantities to make a more alkaline environment. Baking soda really does make for a great stain removing toothpaste and it has truly healed several bee stings. I am only aware of the Arm and Hammer brand I wonder if there are other brands. Have you ever tried it as laundry detergent add-on? Thanks for great information! Baking soda has truly amazing results, but for diabetics, helping to lower blood sugar is what interests me the most. Anything that helps lower blood sugar and control diabetes is what matters first and foremost. But it is wonderful that baking soda is so good for so many other things, including removing tarter and treating bee stings. One half a cup of baking soda added to laundry detergent is great for your clothes and gives them a whiter white and brighter colors. Or you can just buy Arm and Hammer laundry detergent. Try Dollar General for generic brand of Baking Soda. Tnx for your article! I tried baking powder with apple cider and discovered that my blood sugar level dropped drastically. But am scared to use it often. Please, I need your advise on usage and frequency. Hi Jane, Baking soda does wonders for diabetes and blood sugar as does apple cider vinegar. It can make your blood sugar drop and my advice would be to monitor your blood sugar frequently so you can figure out how much is safe each day. Start with a small amount and see how your sugars are. As a type 2 diabetic on metformin, I drink a mix of 1 TBLP apple cider vinegar in 1 cup of water with 2 small pkgs of splenda. I wonder if adding 1 tsp baking soda to this mix would be okay? I drink this twice a day. I have never consumed baking soda before, but am always willing to try anything healthy & beneficial to reduce my blood sugars. Yes Arlene, it’s safe to have baking soda along with the apple cider vinegar. That’s what I take without the splenda. It’s very healthy and beneficial for your diabetes and will aid further in lowering your blood sugars. I read your comment online that you add Splenda to your healthy mixture of ACV and baking soda. Splenda is toxic. You can choose a healthy alternative by using organic stevia. My husband is taking the baking soda with water every day. He is a diabetic, but it seems that his blood sugar is erratic. It’s not really lowering it. It’s pretty high. Is he not taken enough of the baking soda? What should we do? Hey Jeremy, I mix no more than a half of a teaspoon in water 30 minutes before breakfast. I wouldn’t take it more than twice a day before a meal but see how it works for you because everyone is different. And I would check with your doctor as well because you don’t want to overdo it. Yes Cynthia, that’s what I do as well. But I have discussed this with my doctor first because he is the professional. But the fact is that the baking soda does work to lower my blood sugar. How about yours? I’d be interested in knowing and I’m sure Jeremy would be too! Hi. I’ve been reading up on baking soda. I’m a type 2 diabetic. My issue is hard thick toenails that curves to the side. Not over the toe. I wear wide width shoes. I want to try the baking soda, the tea tree oil and apple cider vinegar to soak with in water. Does this sound like it should work to soften the toenails. Please reply. Hi Lee. Baking soda is good for so many things. I do believe that this would soften the toenails but I’m not an expert. Check this out because it may give you the answer you’re looking for. It’s a great idea to discuss this with your doctor first but 1/2 a teaspoon of baking soda mixed with 1/2 a glass water is fine. Baking soda does work for deodorant, shampoo, soap, toothpaste, etc. I have been only using it for all of my toiletries for *33 years. I’ve used it many ways. I put some in my hand and soften it with water to use as soap or deodorant. Some people dab it on with cotton balls. I’ve used it dry. Be careful though because the dry B. Soda can discolor fabric under the arm. If you let it dry after application, it doesn’t seem to discolor fabric. Beauticians use it to strip the build up from using shampoos on the hair. It works great for oily hair. I am now having to add a tiny amount of coconut oil back to my hair because my hair is dry. Presently I am using the LouAnn brand of coconut oil. Even though I love the organic coconut oil, I am sensitive to the odor of it. Make sure that you do not get the coarse baking soda unless you want to use it for cleaning sinks, etc. I do not like the Dollar General brand for bathing. I actually like the Essential Everyday brand above Arm & Hammer. Sometimes I also accidentally buy the A & Hammer brand that is coarse. They have fine and coarse. Instead of taking it by mouth, I use the sodium bicarbonate that is in the Alka Seltzer Gold which has no aspirin, only sodium and potassium bicarbonate with citric acid. I can’t take the regular Alka Seltzer that has other ingredients in it. Two of my allergists told me to take it. I like to add orange juice to it. My grandchildren and I call it Bubble Juice. We also will break it up and only take part of one. I have always broken off a small piece according to the age of the child. My allergists and pharmacist tell me that changing the pH balance in the blood by taking the Alka Seltzer Gold can neutralize a food reaction if it is taking within 15 minutes of eating. I have also found that it will help to neutralize side effects after taking medications. In the past I have been told to use caution and not take too much of baking soda internally. ***Keep in mind that we absorb 60% of everything that we put on our skin (Dr. Oz Show). Since I cannot take vitamins by mouth due to GI and a movement disorder, I put things like baking soda and Epsom Salt (for Magnesium) in my bath water. I love the softness of my skin after using B. soda. I thank God for Baking Soda. I was so sick from having a chemical overload that I had to detox slowly by avoiding them. Yes I realize that this is a baking soda blog, but this information could help someone. You certainly do have a history with baking soda! It’s just so helpful for so many things and I’m glad that it has been beneficial for you. Thank you for the many tips! I¦ve read some excellent stuff here. Definitely worth bookmarking for revisiting. I wonder how a lot effort you place to make this sort of excellent informative web site. Good night , didn’t no BS can help with diabetes, my dad is 85 with diabetes,, he has burning in his feet very often,, can d BS helps to alleviate it. Thank u..
Hey Barry, yes baking soda adds to the acidity of your body and helps with lowering your blood sugars. It’s important to follow your doctor’s instructions about taking baking soda because you don’t want to be overdoing it. Thanks for commenting! This is a wonderful article on baking soda and I have learned so many useful things from it. I know I don’t have any baking soda in my cupboard because I’m a hopeless cook, but I’m going to add it to my list and try it in the bath and as a foot soak too. I don’t have diabetes, but I like the idea of using natural things for cleaning and freshening round the house and some of the comments from other readers have inspired me to more uses too. Hey Gail, It’s amazing how baking soda can not only help diabetes but so many other things as well. It can help by getting your body back to a more acid state. It also helps with kidney disease and is very healthy for you. I also use it to soak my feet and does it ever keep your feet clean too! Who knew baking soda was that good? Thanks for your comments Gail! I knew of a few uses for Baking Soda but I had no idea that there were so many. I always used it in my fridge and used it a few times as a toothpaste. I will definitely put this new knowledge to use. Hey Mike, I always knew that baking soda had many uses but being helpful for lowering blood sugar and treating diabetes is the best as far as I’m concerned. I have it in my fridge and use it with toothpaste too as I’m sure many folks do. Three cheers for baking soda and fighting diabetes! It might be beneficial. If I had diabetes, I would focus on a ketogenic, or very low carbohydrate diet. That way you aren’t putting foods in your body that spike your blood sugar. I’ve always used baking soda in the fridge. I’ve heard of only a few of the other uses you mentioned but never tried any of them. Thanks for the informative article. I’ll be expanding my use of baking soda. There are some great reminders in here about the uses of Baking Soda. But I was amazed at all of the applications I did NOT know about. There are so many practical uses. Very good article and well researched. Thanks for sharing. Hey Patrick, I love baking soda. I cannot believe how well it helps not only diabetes but so many other things. I believe that baking soda has more uses that anything on the planet! I’m thankful for its help in lowering my blood sugar most, but it’s also in my fridge 24/7! This is an excellent post! So many uses for baking soda. I am going to have some this morning to freshen my breath and may even wash my feet with it. This is a post I will bookmark for future reference, as there are so many wonderful benefits to baking soda. Thanks so much! Wow, I never knew baking soda could help with diabetes! I use it in a bath, to calm the itch of my eczema kids. Also in my laundry (homemade laundry powder), as well as many other DIY cleaning agents. Now I’ve learnt something new today, about how baking soda can actually stop fungal growth for people with diabetes. Thanks for the valuable information! I have used baking soda in the fridge and under the seat of my car for years for the benefits everyone is aware. I have heard rumblings in recent years about the use of baking soda for its benefits against diabetes. Your article was very informative and I will be soaking my feet as you recommend. Great post! Hey Jim! I think we all have baking soda in the fridge and why shouldn’t we? 🙂 I do use baking soda in water to soak my feet. It’s awesome! But it really does help with your blood sugars too and that’s the most important thing to me. Ok Jim, Ya got me. I have to ask. Why the baking soda under the seat of your car? Air freshener? I’d love to know! Thanks for your insight! Could you tell me how to use baking soda for gout? Baking soda is great for your feet. I soak mine all the time. It has a great many uses. But here is an article of mine about gout. And this may help you out too with baking soda and gout. I hope this helps! Thanks! Baking soda is incredible, as you have written. In Australia, we call it bicarbonate soda or bicarb soda for short and it always in my home. But your article has raised some uses I’m not doing so am going to add that to my regime – dead curious about the armpit one!! Hi Fleur 🙂 Yes it is. Baking soda might be the best thing that provides more benefits that almost anything else on the planet. WOW Baking Soda is awesome! I took it for heart burn when I was pregnant and I take it if I feel I’m getting a cold or flu but I didn’t know it could do so much including help with diabetes. It’s so cheap too! My dad struggles with high blood sugar I will pass along this article, thanks for the info! Hi Karen ? Yes baking soda is about the best thing going today. It does help with diabetes among many other things. I think your dad could benefit from baking soda. I wanted everyone to know how great baking soda is! Thank you for commenting! I have been searching for ways to help my dad control his diabetes and I didn’t realize that baking soda can help. I knew about putting it in the fridge and also cleaning with baking soda and vinegar, but diabetes, I had no idea. What is the best way to incorporate baking soda into your diet? Obviously, it can be used in baked goods, but is there an everyday application? I didn’t even consider baking soda as a way to help with diabetes! This was very informative! Great article Rob. I did not know about half of all the wonderful remedies that you can use baking sod for…mind-blowing. I especially love the one about washing your hands to get rid of smells. I love to cook with onions and garlic and I will definitely be trying that one next time…like today. LOL. I am so excited to see all the ways I can use baking soda in my daily life! It seems to have many uses, little did I know! Thanks for this article. I enjoy the layout of this site too, very easy to understand and nicely designed. I wanted to post my testimonial. Juvenile insulin dependent diabetic since age 11, now 32 years old. I have been taking baking soda for a very long time now and have found it to be a powerful solution to diabetes management. I take shot of baking soda, a small glass mixed with a little honey as a chaser and water with table spoon of baking soda. I also drink about 1.5 callings of water per day mixed, overall consuming about 1/2 cup-1 cup baking soda a day. No need to worry about sodium, it’s not true. 120mg of sodium in one table spoon, have a Ramon pack or a fry from wendys and you’re at 1000mg. Don’t listen to experts or doctors who don’t actually know how to do math. I also consume 15 eggs a day, around 100 eggs a week, been doing this for years as well. Myth on the cholesterol, truth is, eggs are more than great for you as is baking soda. It’s the carbohydrates, specifically grains and sugar that are killer for diabetics. I eat only fruits, vegetables,eggs, dairy and a ton of baking soda with each meal (mixed with my water, iced and chilled). There is a delicate formula I use of baking soda to water mix that keeps the saltine flavor at bay when chilled. It’s also a tolerance, you start with a little bit (teaspoon) in a glass and slowly add more over time and you become acclimated to the flavor so much so that when you have tap water you can taste the acid PH level of the water. I’ve been doing it for a long time. Baking soda is the cure. Most are not aware the the number one product the pancreas produces is baking soda/sodium bi carb. The number one thing the liver and license require to filters process and do their job is baking soda/sodium no carb. When the pancreas fails, aka becoming diabetic, it fails to not only produce insulin, but more importantly sodium bicarbonate. This why diabetics enter DKA, struggle with insulin does and diets. The PH of the body becomes unstable due to lack of production of sodium bi carb by the pancreas. By simply ingesting this magical solution, you bring balance back to the body and stabilize all systems, liver, kidneys and pancreas and more importantly digestive track, aka intestines and stomach. The key more than anything is discipline and patience. It is not an overnight process, but it is a solution and it does work. I don’t waste my time with doctors, their level of knowledge on the subject is very low and their area of study is at 3rd grade level at best. Everyone’s body is different, but the solution is the same. It’s a universal truth. It’s just a matter of figuring out how much you need based on how basically damaged the body is. Good news is, everyone is capable of healing their organs, but they must be steadfast and disciplined enough to want it. Cheers. That’s quite a story. I’m not so sure I could eat 15 eggs a day! Wow! But I do believe in doing whatever it takes to help the pancreas. I thought baking soda is used only for cooking. I am surprised to see so many benefits! I will try using baking soda for bad breath and other few things. Thanks for this useful post. Hi, my mother taught me the habit of drinking a glass mixed with baking soda with lemon every day for about a month, then rest and do it again, I never believed her so I just did it. I live alone now apart from her and I think after reading this that I should go back to that habit but, it is safe to do it every day or just once in a while? I don’t have any of the problems listed in the warning part. Hi Pao! Baking soda is about the most beneficial product on the planet! And mixed with lemon is even better yet. It’s great for lowering blood sugar and diabetes and so many other diseases and ailments. I’m very careful about how much I take internally because too much isn’t good for you either. I wouldn’t take more than a tablespoon a day mixed with water and I’d make sure your doctor is aware first and approves. Thank you for commenting! Wow… I did not realize baking soda not only helps diabetes, but also helps smelly breathe, smelly armpits, feet, canker sores, kidneys, cancer and the list goes on! This is such an informative post and I will be sharing it with my friends and family. Cannot wait to read more of your posts! Hi Katie 🙂 Isn’t baking soda just totally amazing? I’ll bet that there are tons of people who don’t know that baking soda helps diabetes and blood sugars. Of course it has the household benefits that it always provided too. Thank you for sharing this with others especially those with type 2 diabetes! Wow. I thought baking soda was only for cooking and cleaning, but its also has health benefits. Thanks for sharing. Its a cheap solution and it’s just no big risk to give it a try! Thanks again. So many folks think the same thing about baking soda. It’s a cheap solution for many issues but helping to lower blood sugars is the best! I don’t know of anyone who doesn’t have baking soda in their homes. Knowing now how much more beneficial it is, I’m sure even more people will have it in their homes! I’m happy you found this useful! Baking soda is helpful for so many things including lowering your blood sugar. Most folks may not know that baking soda has so many more benefits that just sitting on the shelf in your fridge. In fact, baking soda is about the best thing on the planet for so many ailments. Try it! You’ll be amazed! Thanks so much for sharing this very informative article on the numerous health uses of baking soda. I was actually speaking to someone the other day who had been suffering from a bout of gout. He mentioned that he had tried some natural remedies but had never mentioned baking soda. I think I’ll send him this article so that he is aware that it may help. It’s interesting that I started to read the article and it being about diabetes, but ended up taking away some very useful information relating to other conditions as well! You’re welcome 🙂 I just find that baking soda is just so awesome for so many things. Gout is horrible as is diabetes and baking soda can benefit both of them. I think a lot of folks would be surprised to find out that baking soda does more than just help your fridge smell clean! Hope you got through your issues with gout! I’m glad you enjoyed my article! Please pass it on to others! Wow, so many hidden secrets to baking soda and I’m sure there are many people out there that are literally dying without this information. Great article this needs to be shared all over I just shared it on my social media platforms. I 100% agree that health is the most important aspect of life after all we wouldn’t be here if it wasn’t for a some level of health. I have been using arm & hammer for years and never used it for much more than washing cloths. I did know about the fridge trick but the comb and brush is a good one I’ll have to try. I’ve just been throwing them out when they get to dirty and oily thanks for the tip. Really great website packed with great information I love the way you go into detail about all its affects on the body and in which steps to take for treatment. It is amazing about baking soda, isn’t it? I’ve had Arm and Hammer baking soda ever since I was a kid. We’re just used to having in the fridge. And of course there were some other uses for it. But now I have so much more knowledge about how baking soda is beneficial. It’s crazing that something such as baking soda is so good and it’s very inexpensive on top of that! I love the fact that it helps diabetes and lowering your blood sugar. I’ll take anything that helps with type 2 diabetes! You know, until I read this article, I never really knew what the health benefits of baking soda were. I find it interesting and great that baking soda can help slow the progress of chronic kidney disease. I’ve used Arm & Hammer baking soda before and after reading this, I will certainly keep using it. I like how you described what baking soda does to help fight against diabetes. The other health benefits that you listed are great too and I’ve heard of baking soda being used to clean your teeth. I didn’t know about the benefits of soaking your feet in it though and it also can help with heartburn! Fascinating stuff! I’m gonna share this article with a friend of mine who has diabetes. Thanks for sharing this! Hey Brian! I’m glad I could provide you with the benefits of baking soda that most folks may not know about. I’m so grateful that baking soda can help with lowering blood sugars. That’s my main concern. But just as I listed the other benefits, it’s great to know that baking soda is more than just sitting in the back of the fridge! I hope you find help with this and do suggest it to your friend! Lately I have been looking into the various uses of baking soda and I am amazed to find it has so many benefits for us and the home. It is a really interesting fact to now find that baking soda can help with diabetes. I know someone with diabetes so I will tell him what I have learned today so he can look further into it. Isn’t it amazing to find out how beneficial baking soda is? It’s not only good for diabetes and blood sugars, it has a long list of benefits. Like many other folks, I always thought it was only good for sitting in the back of the fridge, but who knew? I’m trying to spread the word as much as possible to people about baking soda and it’s benefits, especially for type 2 diabetes. My whole entire family tree (my uncles, aunts, great granparents) all of them died of diabetes except for my family as my parents made us grow up living a healthy lifestyle by increasing the amount of fruits and vegetables in our meals and exercising regularly every week. However after I started working, I barely have enough time for myself and I started drinking a lot of energy drinks to keep myself awake and focused so I’m getting kind of worried of diabetes might find me. I’m thinking of using baking soda a lot for cooking, would there be any side effects if I take too much? It’s tough when your family has a history of diabetes. Growing up with a healthy lifestyle was smart on the part of your parents. Eating fruits and vegetable and exercising on a regular basis is what everyone should be doing. This is what we should be doing throughout our entire lives. Unfortunately many of us do not do this and we pay the price. Baking soda is awesome for so many things including diabetes. There could be issues if you have too much baking soda. Like everything else, too much can be no good for you. Just use it in moderation. Goodness, I never realized that baking soda had so many beneficial uses! You have really opened my eyes here. I am particularly interested in its ability to help with diabetes, as I have a family member who has that condition. I will definitely be passing your post on to them. Thank you also for stressing that a doctor should be consulted before using it for this condition. I will also be using it to combat joint pain. I am really fascinated that baking soda has so many various uses, and I will be bookmarking your post for future reference. Thank you so much for your enlightening post. Many folks probably think that baking soda is just good for sitting on the shelf of the fridge, only to change once a month. Baking soda is one of the most beneficial products on the planet! Not many know that it is helpful for blood sugars and diabetes. It’s just amazing what can do but I always recommend discussing with your physician first. Who would have thought that you could use baking soda to control diabetes? I am not surprised though because, like you said, baking soda is used in so many ways. I make a paste with it and coconut oil and my husband and I use it to brush our teeth and we get the added benefit of having nicer breath (although I never thought of that aspect until I read your article). It’s amazing just how many ways you can use baking soda! It is also a great cleaning agent on oven glass. Just put it on on the glass, slightly dampen it and let it sit for a few minutes. Then gently scrub. You mentioned several ways that I personally can use baking soda for, such as soaking the feet and as a deodorant.Thanks for sharing such an informative article. I’ve always used baking soda for the many purposes that most folks relate it to. I use it for brushing my teeth and as a cleaning agent too. But my main focus is that it helps with diabetes and to me that’s the most important feature! You know, for something that is very inexpensive and provides so much you can’t find another product that’s better! I would appreciate it if you pass this along to others. Thank you! Baking soda sure is amazing. Having benefits for both our health and for other things. I personally make use of baking soda when washing my backpack and also I make use of it when trying to get rid of stubborn odors. Its really amazing. I have read about a lot of positives of baking soda for our health but like you advised, it is extremely important to make sure to contact your doctor before making use of baking soda so it doesn’t react the wrong way with your system. Yes I agree. Baking soda should be used for a lot more than being in the fridge all the time. It can do some amazing things. Who doesn’t use baking soda, right? I’ll be most people have baking soda in their homes. But one of the most important things is that it can help with your blood sugars! This is awesome! As you mentioned, discuss this with your doctor because too much baking soda can be toxic, but the right amount is very beneficial! Anyway, thanks for sharing, I have gained knowledge from you. The more you read about baking soda, the more impressed you become. Why wouldn’t everyone have and use baking soda to their advantage especially if you are a type 2 diabetic? You can do more with baking soda than most any other product out there today. Great article. I was not aware that baking soda has so many benefits. I put a box of baking soda in the fridge to absorb odour. Sometimes I use it for cleaning. Using baking soda to clean away smell in hands, I like this. It is always very difficult to clean away the fishy smell and garlic smell on hands. This is helpful. Thank you! Everyone should know about every benefit that baking soda provides. Like most folks, I always thought baking soda was good for the odors on the fridge only. Why not use this natural product for everything it was meant to be for? I read somewhere that baking soda can help with diabetes patient and was curious to know how. It’s interesting that they can be used as a feet wash. Mom actually has fungal toenails that are taking forever to heal because of her diabetes. I’ve tried cream and it doesn’t work. Maybe baking soda is what I need. Baking soda can change the acid in your stomach and help to neutralize your stomach by helping balance the alkaline effect. This helps with diabetes and blood sugars, but you must be careful about only having a small amount mixed with water. Too much in your system is NO good so check it out with your doctor first before you do anything. I’m sure that baking can help with your toenails. It’s an awesome product that has a zillion benefits! Thank you for sharing with us this great post on baking soda benefits.I have a problem of joints pain and I always try to go to the gym to workout so that I can feel better, but still now I didn’t get the positive results. I went to the doctor and he prescribed me some medicine, but I didn’t find the positive results either. Baking soda seems to be helpful for such problem and I am going to try it . You are helping people with such an informative review. Baking soda just may help you with your joint pain. If you or someone you know has diabetes, then baking soda in moderate amounts may help their blood sugars. If you plan on mixing baking soda with water to drink, be advised that you should only be having about a tablespoon at most but I would check with your doctor first! Better safe than sorry! I’ve only ever come across baking soda as a health product before when it comes to mouth health, or gum health – you actually cover it here in your section on your breath and toothpaste. Over here in the UK, there is actually a popular (yet expensive) brand of baking powder toothpaste that is apparently great for general mouth health and natural whitening – have you heard of this specialised brand before and if so, what are your opinions on it? Yes, baking soda is known for some common problems but not known as much for so many other things such as helping with diabetes and blood sugars. It does help with oral health as well your breath and they do make toothpastes with baking soda in them which are fine. But I want baking soda in my house for so many things including diabetes treatment and oral health so I prefer to use baking soda that way instead of spending extra money on toothpastes containing it. I knew some of the uses of baking soda aka sodium bicarbonate like its usage as a toothpaste, for heartburn, skin care and natural alkalizers. But I was not aware of its brilliant uses to diminish effects of diabetes. There are some other uses of baking soda also viz. relieve diaper rash in babies, easy soft DIY scrub, floor cleaner, simple microwave cleaner, air freshner etc. It is a wonder chemical. Thanks for helping us Rob. Keep it up. I can’t believe how many benefits baking soda offers. Everyone knows how it keeps the fridge smelling clean. But I like best the fact that it helps with lowering your blood sugars. That’s the most important benefit for me. Thanks for mentioning additional benefits because the list is endless! Hi! Your site has become an important reference when I’m seeking healthy recommendations. And I’m really impressed with this huge list of benefits that baking soda has. I didn’t know it could be used in the treatment of Pimples and Acne, and even for Sunburns. And I also appreciate the non-health tips: the one concerning the fridge and its ability to neutralize the odors is cool! I always hope I can be of help to everyone who reads my posts! Baking soda is the king of all products with benefits! It’s awesome that it can help with lowering blood sugars! The list of what baking soda can do is endless! It’s also amazing the something so inexpensive can do what baking soda does. I don’t see why everybody shouldn’t have baking soda in their home. Get those blood glucose numbers down with a little baking soda! I did not know that baking soda has this many benefits to the human body! I only know that it is used for baking and some cleaning purposes but not taking this orally. But since this is added in bread, I think there would be no problem also if ingested. If it really can alleviate or control diabetes, this research is a breakthrough since many are suffering from this disease. Thank you for this informative article. Baking soda probably has more benefits than any other product today. Most people think of the fridge and for cleaning, but there’s way more than that when it comes to baking soda. It’s good for diabetes and lowering blood sugar, but must be taken in very small amounts and with a doctor’s approval. Once you learn how baking soda helps you, it will amaze you to say the least. Honestly, I never knew about these benefits baking soda could have. This is very good for my father in law who has diabetes and is struggling with it for quite a while. He already tried a lot of things and it doesn’t seem to help a lot but with reading this, I’m going to show him this info, and he will be happy. Thanks! When you have diabetes, you’ll look to anything that can help in controlling it. Baking soda can neutralize your system in small amounts under a doctor’s supervision. Your father-in-law could learn a lot on my website here starting with baking soda. The best thing about baking soda is that it has just about the most benefits for so many other issues than any other product on the planet! I have to say that I use baking soda for a lot of at home skin, hair and oral health. While I use it all the time and know there are several benefits and uses I absolutely did not know that it could help with an actual disease. Seems like they should be doing more research on this subject haha Thanks for an amazing, informative article. Baking soda is probably the most useful product on the planet! It isn’t just for the fridge. It provides many benefits including lowering your blood sugar and helping to control diabetes. What amazes me too is something that is so powerful and beneficial can be so inexpensive as well! Now that you’ve read the whole article, you would know exactly what baking soda is good for! Thanks again for another informative and helpful post with loads of valuable information. I am amazed at the benefits of sodium bicarbonate, the benefits are almost for everything and after reading your post, I think its a must for everyone. I do sometimes get heartburn because of digestion problem and I will give this a try. My father-in-law is a diabetes patient so gonna share with him what I learned from your post. I got new insights about mucormycosis and about baking soda as well. Thanks for the care and great advice (Asking to discuss with the doctor first). Isn’t baking soda just totally awesome? It’s not just for the fridge anymore. I love the fact that it helps with blood sugars among many other benefits. It is good for heartburn and digestion issues so I would definitely try it! It would be great for you to share this and the entire website with your father-in-law! And yes, I always suggest discussing anything with your doctor first! It’s common sense! After reading your article, you helped me a lot. I didn’t know that sodium bicarbonate was as versatile. I personally use it for my feet. My feet stink a lot and, honestly, it helps. I also use it for my tooth paste. I mix a little bit of sodium bicarbonate with peppermint essential oil. As you said, it’s very acid for the teeth, so moderation is better. I didn’t know at all that could help for diabetes. When a product can help people out with offering so many benefits, the best thing to do is to spread the word. I use it for my feet and teeth as well because it really does help. Baking soda is the best! It’s great that can help diabetes too. I would check with my doctor first about taking baking soda internally and how much. Thank you for suggesting my website to your cousin! There’s a ton of information here to help! It is absolutely how unbelievable how many uses there are for baking soda. What got my attention was the diabetes factor. As a diabetic I am always looking at ways to possibly bring my numbers down and possibly use less medication. Of course I would talk to my Dr first to make sure it’s okay. This was a great article loaded with a lot of great info. Thank you for taking the time to write such a great article. I’m sure that we all know of the main benefits of baking soda. But helping to control diabetes to me is the most important benefit. It can help lower your blood sugar but taking it internally is something that should be discussed with your doctor first because too much ingested can be harmful. The goal would be to get your numbers down and possibly get off your diabetes medications. This might be a stretch but could baking soda help improve memory loss or slow down signs of dementia? Thank you for your response. To be honest, I’m not sure if baking soda could help these conditions. You could ask your physician or go HERE. That may give you your answer. I hope this helps! Wow before reading this article I had no idea that Baking soda had these meany benefits and also can treat Diabetes. This article had everything I needed to know about baking soda and its health benefits. I learned about how it can help our skin, joints and lot more. It is a well written article and I really appreciate you for sharing this. Baking soda is about one of the most beneficial products on the planet. I love the fact that it helps with blood sugars and diabetes and not just something you put in the back of the fridge. It’s important to know everything that baking soda offers. I’m really excited that it has positive effects on type 2 diabetes. And another good thing about baking soda is that it is inexpensive. No reason it shouldn’t be in every household! Thanks for this informative post, I never knew until today that baking soda does more functions than just been used for baking. I do have a friend who is diagnosed with diabetes type one. Can this baking soda be used in her case and if it can how is she expected to make use of it, does it work effectively? I believe that a great many folks think that baking soda is only for baking. But the fact is that it is one very powerful product offering many benefits beyond just baking. I just think how awesome it is for us to use for many different issues. I’m not really sure if baking soda can help type 1 diabetics. It’s totally different than type 2, but I would ask my doctor first. They are the professionals especially when it comes to type diabetes. Hi Rob, I appreciate any article that is intended to promote healthy habits, I am registered nurse and I can see that your information will help many people. I will look more into using baking soda, I am not a diabetic patient but I do have family members who are suffering from this terrible disease, thanks for the article and I hope you continue given us more great posts. I have a lot of respect for nurses because you help so many people! I want to do the same with offering information on blood sugars and diabetes and baking soda can help. It’s good that you don’t have diabetes and I hope you never get it. But I hope folks get and stay healthy and products like baking soda are there to help. Wonderful article on a more healthy way to help with diabetes. So many times I run across articles pushing pharmaceuticals. The truth is that there are so many more natural ways to get better health like your wonderful article here on baking soda. Something that has been around for over 40 years and it is cheap with so many beneficial uses. Thank you for saying! I totally dislike medications which is why my website is about treating diabetes and lowering blood sugars the natural ways. Baking soda is natural and can do just that. You must be very careful about not having more than 1/4 tsp. of baking soda mixed with water each day. It is NOT good to consume more. In any event, always check with your doctor before you do anything. Baking soda is beneficial in so many ways, why not take advantage of it being beneficial for type 2 diabetes? This is a brilliant brilliant article! I knew baking soda was useful because we have seen it being used for teeth whitening (not everyday use though). I think that it is not surprising that baking soda is so useful based on what you have said. I have read elsewhere that acidity in the body causes sicknesses and disease. Since baking soda is alkaline, it makes sense that it would naturalize the acidity leaving you with a balanced and neutral body where sickness and disease cannot thrive. It is great that it can clean everything from your teeth to your hair brush and even your fridge! Thank you! I love all the great things that baking soda can do for you. And the teeth whitening, fridge, and other benefits are awesome but the best positive from baking soda for me is the effect on my blood sugars. You cannot have too much baking soda internally but 1/4 of a tsp with a glass of water can make a huge difference! It helps balance the acidity in your stomach but you don’t want to overdo it. Why wouldn’t everyone use baking soda for the benefits it provides at such an affordable price? I come here to search about natural ways to help diabetes, but WOW I am amazed how much help this baking ingredient can be. My friend’s father was diagnosed with diabetes, so he really need to be careful about what he eats and does. For diabetes treatment, how many should he take daily? I’m also interested for acne treatment with baking soda. Do you need to mix it with water or other substance, or just smack the acne with a teaspoon of baking soda? Thank you for your answer. Most folks wouldn’t think that baking soda would help type 2 diabetics. But it can help. You do have to watch what you eat and drink when you have diabetes. As far as how much baking soda to take? 1/4 tsp with an 8 ounce glass of water is what I take. NO MORE! While baking soda is healthy for you, too much of anything can be toxic so please be careful and consult your doctor first! This is a great article. It is interesting that doctors I’ve had have steered me away from baking soda because of the sodium levels in baking soda. Of course that was after I had challenges keeping my blood pressure under normal. Do you think there are baking soda brands that are better or should I say, a higher quality, than other brands? I have read somewhere that regular Arm and Hammer baking soda is bad to ingest! And that some baking sodas sold in health food stores are healthier than what a person can buy in a regular grocery store. My local health food and organic stores do not carry Arm and Hammer baking soda, instead they carry another brand which I can’t remember off the top of my head. Thank you for saying! Baking soda is good for you! But it’s very important to discuss anything you take with your doctor first! You must be extremely careful with how much baking soda you ingest and if your doctor doesn’t approve, then you listen to the professional! Arm & Hammer has always been the best brand as far as I’m concerned. It’s the only one I use. But while it can help with your blood sugar, again you must only take small amounts! This in only MY opinion! Baking soda has so many awesome benefits! Wow, I never knew baking soda has so many beneficial uses besides baking a cake. This is really interesting due to having baking soda in the house at all times. I buy tablets for the heartburn I experience sometimes before sleeping. Baking soda is definitely a lot cheaper and never runs out. It’s amazing how beneficial baking soda is for you. I love the fact that it helps with diabetes and blood sugars. Although it’s widely known for freshening up the fridge, many would be surprised at just how good baking soda is for you in so many different ways. And as you mentioned, it is extremely affordable so why wouldn’t everyone use it, right? Baking soda is about the healthiest product on the planet! Great Rob! Who would have thought that baking soda has so many benefits.. I used to associate baking soda with baking only, and sometimes for mouth rinsing. Great article, not only does it help in lowering sugar level, it has other benefits both health and non health. The good thing about this baking soda is that it is cheap and can be sourced from virtually everywhere. I am going to experiment on that of the fridge benefit. Yes, most folks associate baking soda with baking and freshness in the fridge. I find it fascinating that this is one of the most beneficial products on the planet but the fact that it can help with lowering blood sugars and helping diabetes is just awesome! It’s such an inexpensive product that everyone should be using it for something. When you go through all the benefits of baking soda, I think you’ll find that nothing else can provide what it does. Lower blood sugars and controlling type 2 diabetes is my main goal! I know baking soda has lots of uses, but I didn’t realize that it could lower blood sugar as well. How does it work? My toothpaste from Arm and Hammer has baking soda. It’s not only effective to whiten and clean your teeth, it’s also not very expensive compared to the other brands. i think I read somewhere that you could also use baking soda to scrub your sink for a very shiny finish, is that true? Yes, baking soda can help with lowering your blood sugars. I would always check with your doctor first because too much can be harmful as well. It’s only good to take 1/2 tsp and an 8 ounce glass of water no more than twice a day, but still let the doctor decide. I know that baking soda is just so great for so many things including cleaning sinks. Try cleaning your sink with a paste of baking soda and water. You can then sink with vinegar, which will bubble and fizz. Vinegar naturally disinfects while helping remove hard water stains from your stainless steel sink. Once your sink is clean and dry, you can easily add an extra shine. Hope this helps and let’s keep those blood sugars down! Thank you for sharing this great information about baking soda. I personally been using baking soda on my refrigerator like you mentioned and one thing that I olso do is to mix baking and lemon  when my stomach hurts this really works. After I read your article and find out all the benefits of using baking soda is amazing especially that it can help with diabetes. Hopefully people with this problem find out that baking soda can help them with their diabetes. I know that many people know at least some of the benefits of baking soda. But how many people know that baking soda can help lower your blood sugars? Although you should be only taking 1/2 tsp mixed with 8 oz. of water 2x daily, it’s something that should be discussed with your doctor first. So, cleaning, freshening the fridge, and all the other benefits are great but helping to control your type 2 diabetes? Awesome! I have issues with my mouth and indeed of whitening of the teeth. I never knew baking soda can do that. Thanks for all that! Your blog it has a lot of great information that will help in understanding how we can live better and healthier and always putting the baking soda in the mix so that we can always live and achieve the best in life. The best and most useful benefit for those of us with type 2 diabetes is that baking soda helps with blood sugars. Not many people may know this or not but it sure is good to pass the message along! With baking soda, it’s almost like what doesn’t this product do? It will help you have a healthier life! I was told to use NON ALUMINUM BAKING SODA for taking internally. This can be purchased at WHOLE FOODS. 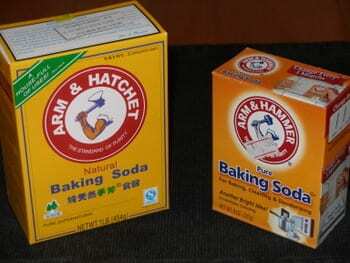 Does ARM & HAMMER make a NON ALUMINUM baking soda? In answer to your question: Baking Soda Does Not Contain Aluminum. … Even good old Arm & Hammer, with their otherwise questionable products, does not contain aluminum. Bob’s Red Mill, for as much good as they’ve done, haven’t really done any of us a service by popping that aluminum-free label on their bicarbonate of soda. I just came across this article and I have to say I’m impressed! I never knew baking soda was so beneficial especially for diabetes. I will definitely consult my doctor about the benefits of baking soda. I am 30 years old and I’ve been struggling with Type 1 diabetes for 10 years. Nothing I do seems to help control it. Thank God I don’t have any complications and don’t want to in the near future. Because my blood sugar is always high I get a lot of yeast infections. My question is, How much baking soda can I take, how often should I drink it and can it help to prevent yeast infections as well?. Hey Dee, Thank you! Baking soda is beneficial for diabetes. 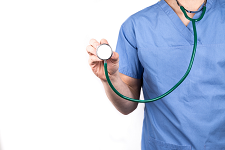 While I am not a doctor, you should be consulting your doctor first before you do anything. Two teaspoons with an 8 oz glass of water taken at most twice a day is sufficient but ask your doctor! They are the professionals! I believe it could help with yeast infections but again your doctor should provide the answer. Baking soda is great as long as you don’t overdo it!